Medical Service Manager Margaret McPherson and GP Matthew Penn from North Richmond Community Health Centre say the funding will help more people get treatment. North Western Melbourne Primary Health Network (NWMPHN) has granted more than $300,000 to two new programs aimed at improving access to testing and treatment for viral hepatitis in Melbourne’s north and west, where rates of hepatitis B and C are some of the highest in the state. The Cancer Council Victoria is partnering with the Centre for Culture, Ethnicity and Health to raise awareness of the importance of liver health and the link between viral hepatitis and liver cancer, targeting communities with higher rates and risk. The integrated campaign will work with a range of cultural community groups to deliver peer awareness and education, backed by a broader media push. Funding has also been directed to the North Richmond Community Health centre, helping them to better identify people at risk of viral hepatitis across their programs and sites, and direct them into treatment and ongoing care. 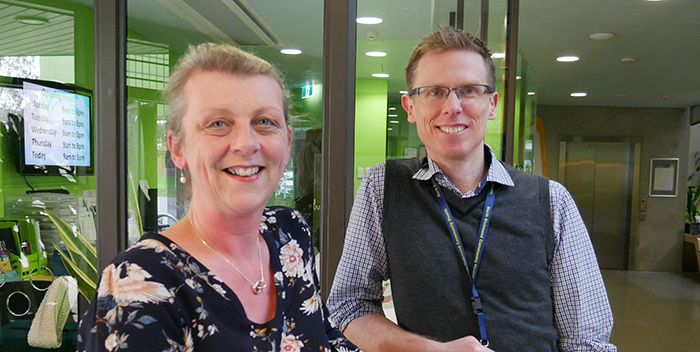 NWMPHN CEO Adjunct Associate Professor Christopher Carter said the focus was on finding novel ways to reduce the burden of viral hepatitis through improved testing, treatment and management at every opportunity. “Viral hepatitis is the leading cause of liver cancer, but effective treatment and management can greatly reduce the risk of cancer and other serious complications,” A/Prof Carter said. The programs have been funded to start in July 2018. For more information about the programs please contact Orly Janover at NWMPHN on (03) 9347 1188. PDF version of release here.